Alwan Rafiuddin pursued his bachelor’s degree in soil science program, in Institut Pertanian Bogor (IPB), Indonesia with a final project related to geomorphology for the analysis of the risk of landslides and floods. He completed his bachelor degree in 2010. During 2010 to 2012 he became a freelance worker related to soil surveys. He continued his study in Regional Planning IPB in 2012 and finished his master program in 2016 with a final project related to land use change models. 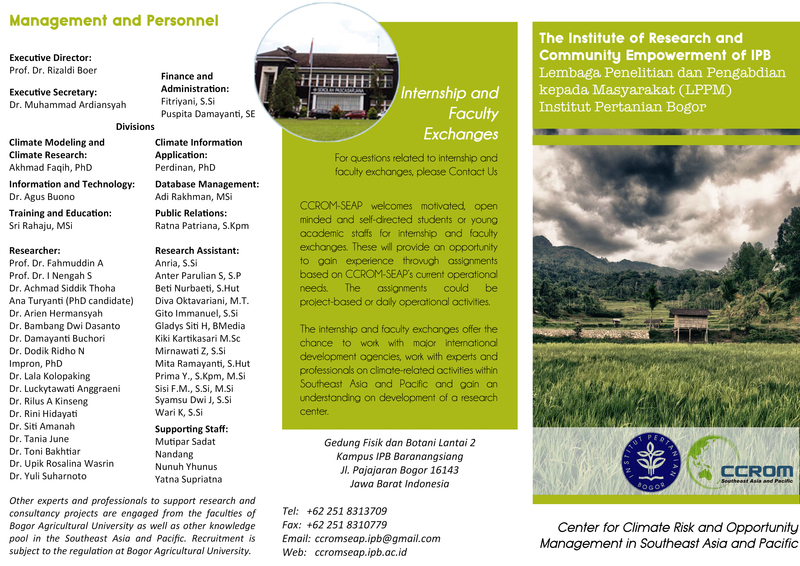 Alwan started to join CCROM SEAP since August 2016 as a research assistant, and firstly involved project in The Third National Communication in Tana Toraja District and Fire Risk System in Pulang Pisau District. 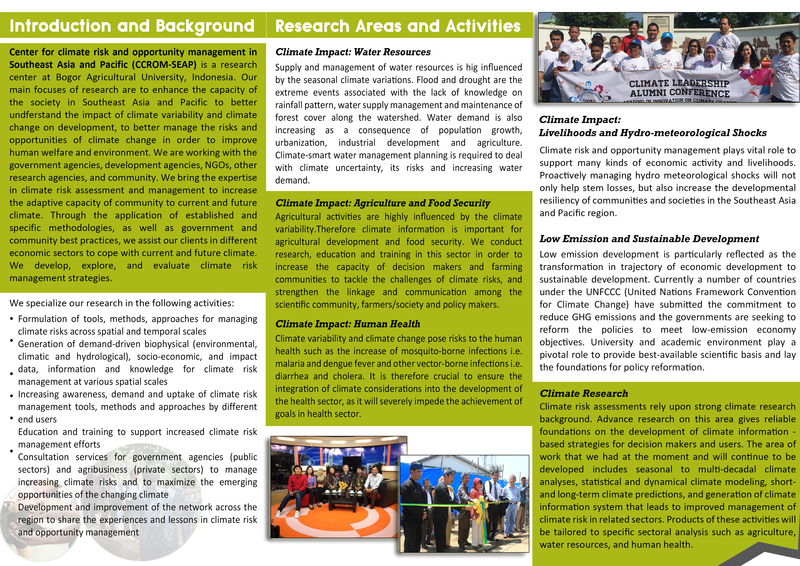 He interest in Remote sensing and GIS especially related to land use change.